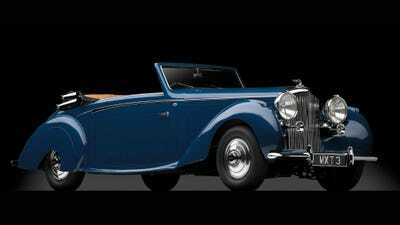 Bradley Farrell, founder of the new, internet-age-friendly auction house The Finest Automobile Auctions, can certainly prove his classic-car chops. 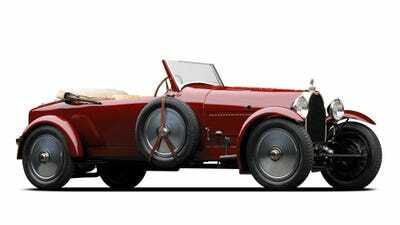 A collector specializing in pre-war Bugatti’s, he will show one of his cars at the Pebble Beach Concours de’Elegance, one of the classic car world’s elite events this summer. “The sound of a Bugatti, the visceral experience of a Bugatti. The engineering is in my opinion unsurpassed,” Farrell told Business Insider. Farrell also has a passion for taking pictures of his pet goats atop his Ferrari 430. The first auction for his new marquee will take place this Saturday at the Elegance at Hershey, in Hershey, Pennsylvania and just up the road from the home of the ubiquitous chocolate brand. Farrell’s brand has partnered with the online bidding facilitator Proxibid, which will allow technologically-inclined customers to purchase a $500,000 Bugatti via their iPhone, if they so choose. “Look, the internet has broken everything, it’s broken medical, it’s broken music, many things. I think for the auction world it has yet to break through,” Farrell said. The Facebook-era has created a new generation of young, wealthy potential enthusiasts, and Farrell believes the well established auction houses have yet to find them. 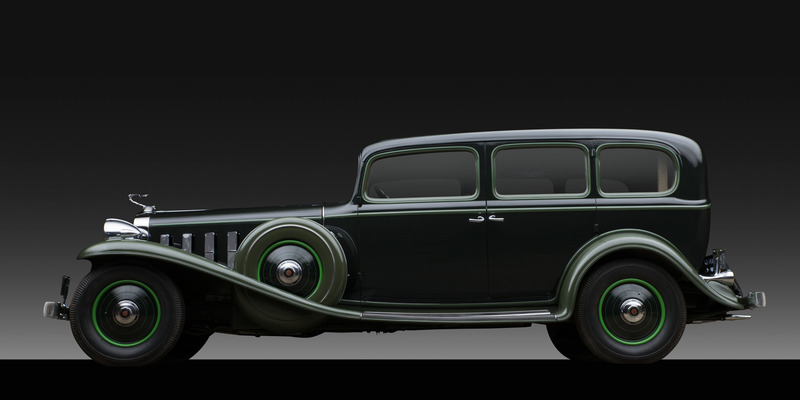 The FinestA 1932 Cadillac 452B V16 Fleetwood Imperial Limousine. House estimate: $195,000 – $225,000. “The younger buyers are plentiful. It’s about how you reach them and how you make them feel connected to your brand,” Farrell said. 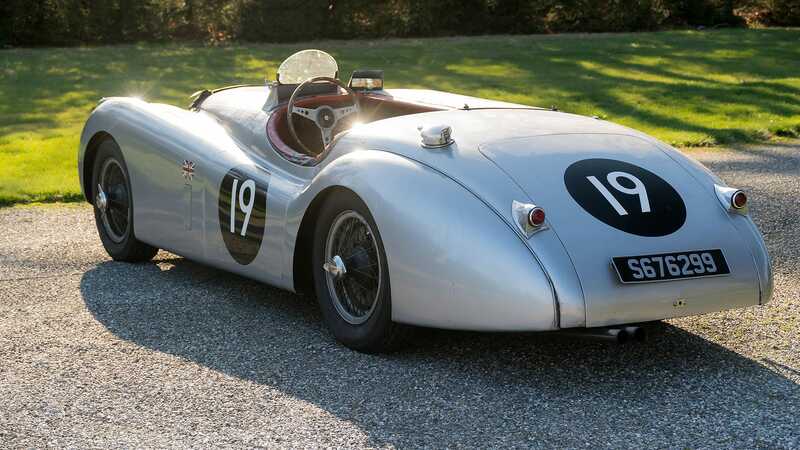 While the auction at Hershey will favour cars of interest to Farrell personally — the sale features several examples from his personal collection — the company plans to adapt to different settings. “The auction we’re planning in Aspen will be very different,” Farrell said. Farrell also expressed an interest in finding prospective clients cars that they can enjoy not just as investments, but as experiences. “If a car speaks to them, then they should buy it, because the enjoyment that they will get out of the car will surpass any value that you can extract from it,” Farrell said. 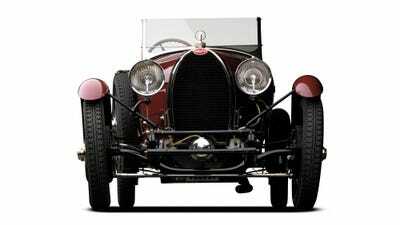 Or this exceedingly rare 1927 Bugatti Type 38A. 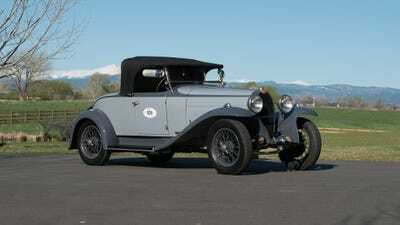 And also from Bugatti, there's a lovely 1929 Type 40A Roadster. 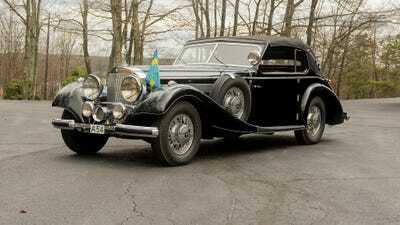 From Germany, this 1938 Mercedes Benz 540K Norrmalm Cabriolet is another auction headliner, expected to fetch $950,000 - $1.3 million. This 1954 Jaguar XK120M hails from the golden age of road racing -- and Farrell's personal collection. The M is for 'Mille Miglia,' the infamous (and deadly) race once held on 1,000 miles of public Italian roads. 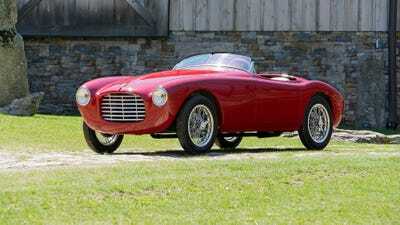 A 1952 SIATA 300BC Sports Spider is also a former road racer of the golden era, but mainly competed here in the United States through the fifties. Looking beautiful in a set of whitewalls and some Opalescent Blue Metallic paint, a 1963 JAGUAR E-TYPE Series I is recently restored. The house expects $225,000 - $275,000. Before Lamborghinis were stealth-fighter inspired automotive wedges, (and after they were farm-equipment makers) cars like this 1968 400GT 2+2 typified Italian touring luxury. 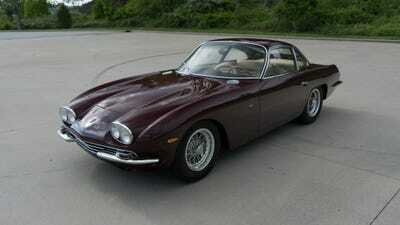 It's immaculately restored and should fetch $575,000 - $650,000. 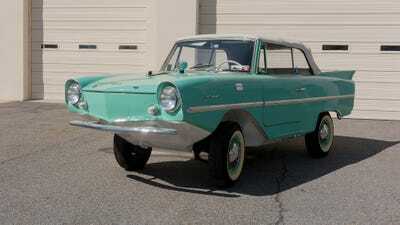 A 1966 Amphicar 770 is a convertible in two senses: the roof comes off ... and it can turn into a boat. Amphicars, though rare, are a somewhat well-known automotive curiosity. 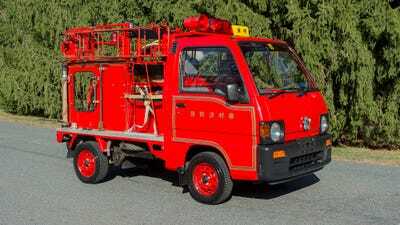 Unlike this Japanese Subaru fire truck. 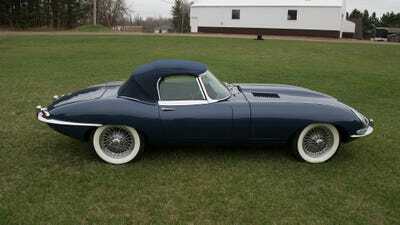 Farrell describes it as 'sort of a microcar.' The truck should be desirable to both collectors of fire fighting equipment as well as general enthusiasts looking to add an unusual (though somehow cute) piece to their collection. This looks like a classic Nissan 240Z, but it's something way more special. 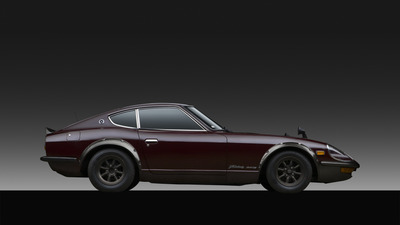 It's a 1972 Nissan Fairlady ZG, an aerodynamically-tweaked model only sold in Japan. The side mirrors on the front fenders, covered headlights, and riveted-on wheel arches are all original features of this very desirable, Japanese Domestic Market enthusiast's dream car. 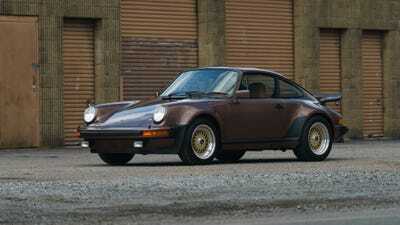 A 1976 Porsche 930 Turbo comes with a Blaupunkt Bamberg Stereo Cassette Radio. Which was a big deal in 1976.